I'm baaaaccckk! For those of you who noticed I was gone for a little while, I'm very sorry for being such a bad blogger! From the 4th to the 15th of November I was in London on a work experience placement at the Sunday Telegraph's Stella Magazine and the week and a bit since then I've just been catching up on my college work and sorting out my university application, it's been busy but I'm back for good now, lucky you lot eh? 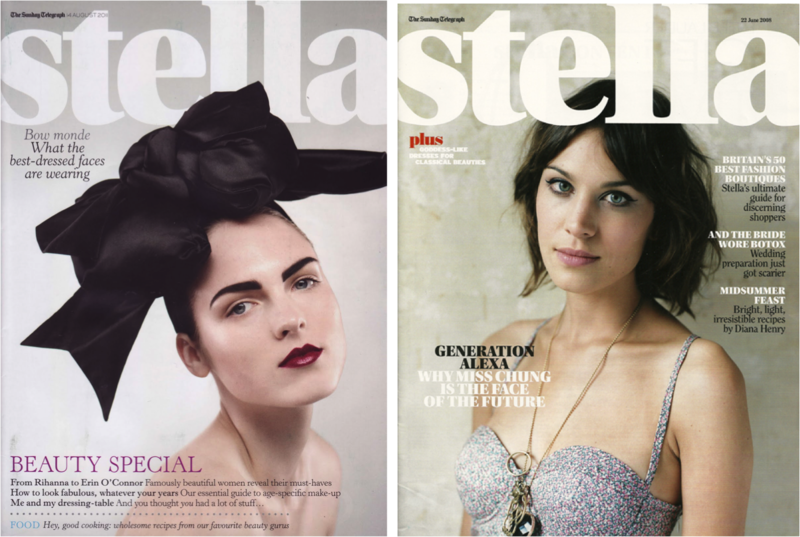 I know a lot of people who read my blog will have some interest in fashion and the media (as the two things pretty much go hand in hand with blogging) and might be pursuing internships or work experience at magazines, so, I wanted to just talk a little bit about my time at Stella and hopefully some of you will find it helpful. The fashion team were extremely busy in the first week, after three photoshoots in one week the cupboard was overflowing and I was under a lot of pressure to shift it all in preparation for the next wave of shoots. With help from the junior fashion editor the room was clear by the weekend and my second week was a lot more relaxed, half of the fashion team flew out to Bali for two photoshoots (jeaalloouuss) whilst I met the contributing editor and got a real chance to chat to the interns. The best part of my work placement was the people I got to meet; a fashion assistant, a features intern and a digital media assistant all gave me some great advice on breaking into the industry, university courses and internships. I also met a features intern who had recently graduated from my top-choice university, she was so lovely, answered all of my questions about the course and definitely fuelled my desire to get a place at that uni! On my last day I was presented with a goodie bag from the team filled with beauty-themed freebies, a lovely card and some sweets, I felt a bit sentimental leaving and I hope I keep in touch with some of the girls. In the future I would love to do a placement in features too and just try things out until I find the perfect role for me, I have been invited back and also have the opportunity to get some experience with a journalist on the Lifestyle section of the Telegraph newspaper itself. It's all up from here! If any of you have further questions please feel free to email me (address is in the side bar). I would have run away with them, for real.